Damen, Amels sell 226-foot heli-hangar support vessel. 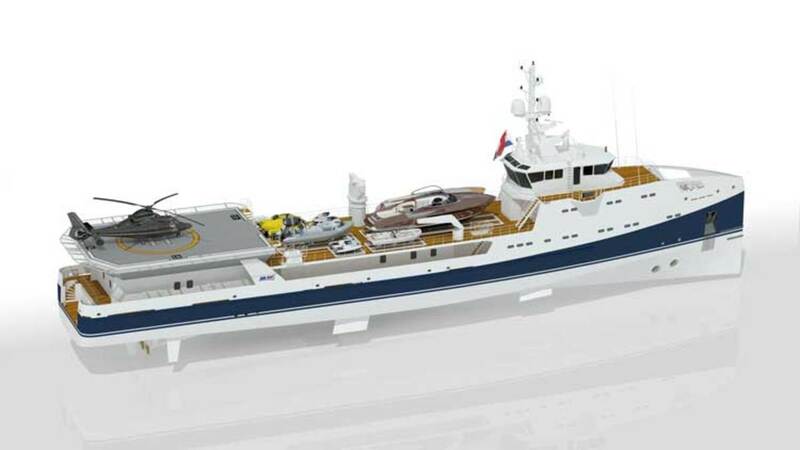 Dutch yachting company Damen Shipyards, which includes the Amelsbrand, has sold Sea Axe 6911, a yacht support vessel to be delivered in June 2016. 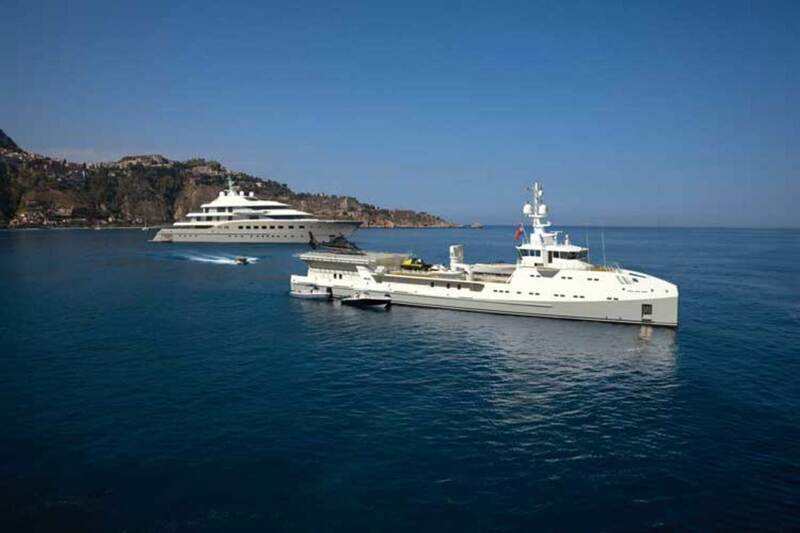 The goal for the project is to combine Damen’s research and development experience with the Amels brand’s excellence in superyacht design and construction. At 226 feet (69 meters) length overall, Sea Axe 6911 will have a fully enclosed heli-hangar beneath her LY3/MCA-certified helideck. She will be the fifth support vessel delivered since Damen and Amels introduced the concept to the superyacht market in 2009, but will be different thanks to feedback from previous buyers and requests from the current client.